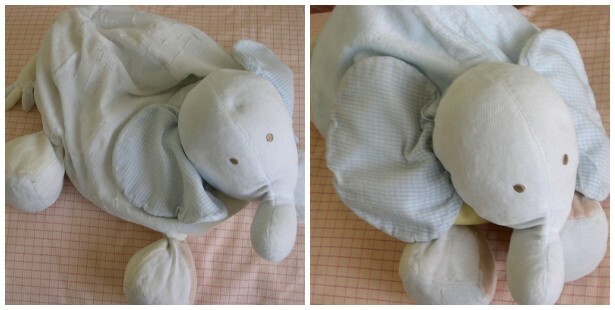 Roxanne’s classmate and friend, Z., is very attached to a little stuffed elephant, Ellie, that has been with him since he was a baby. Four years of constant love and companionship, plus many many washings, had made poor Ellie totally threadbare. You could literally see the stuffing through his body and he was falling apart in Z.’s hands. 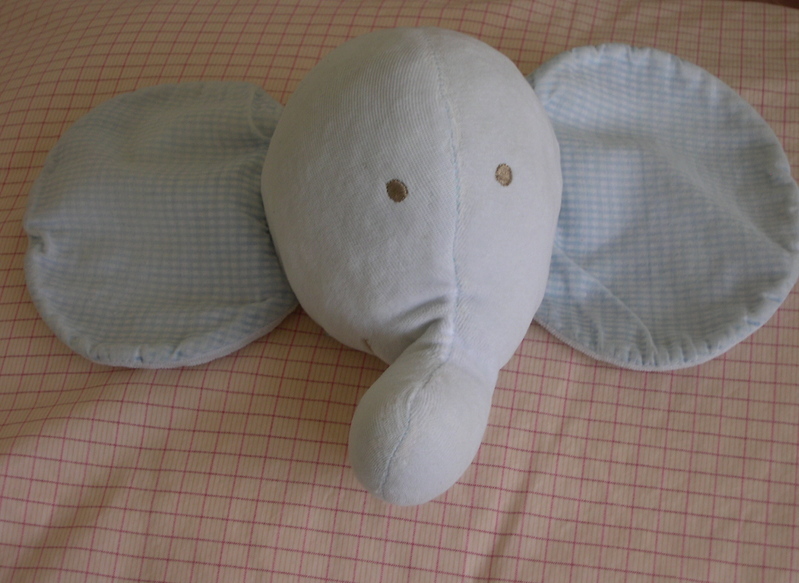 Of course, this particular elephant is no longer in production and is not available anywhere, not even on eBay. Z.’s parents asked me to see what could be done to save Ellie and today they dropped him off for some major surgery. I hope Z. doesn’t see this because that might totally freak him out. Thank you for having me repaired. I was a very brave elephant! I may look a little bit different now, but I feel so much better. I hope you will still love me as much as you always have. I love you. how incredibly sweet! what a wonderful gift for a sweet little boy and his beloved friend! THAT is so cute and very very sweet. I am sure that Z will love him forever and ever. By the way, I LOVE YOUR NEW SITE! That’s an honorable way to spend 30 minutes! Maybe it’s the breastfeeding, but I’m totally teary. Great post! Thats a terrific story, Shannon!